Still hungover from the previous two concerts earlier this week and with cellulitus causing insane pain to my left leg I was a little apprehensive to head to Camden Town to catch perhaps the heaviest gig scheduled in my calendar. But there was no pulling out, I had to man up, drink bottle of cheap white and catch the Northern line to The Electric Ball Room. 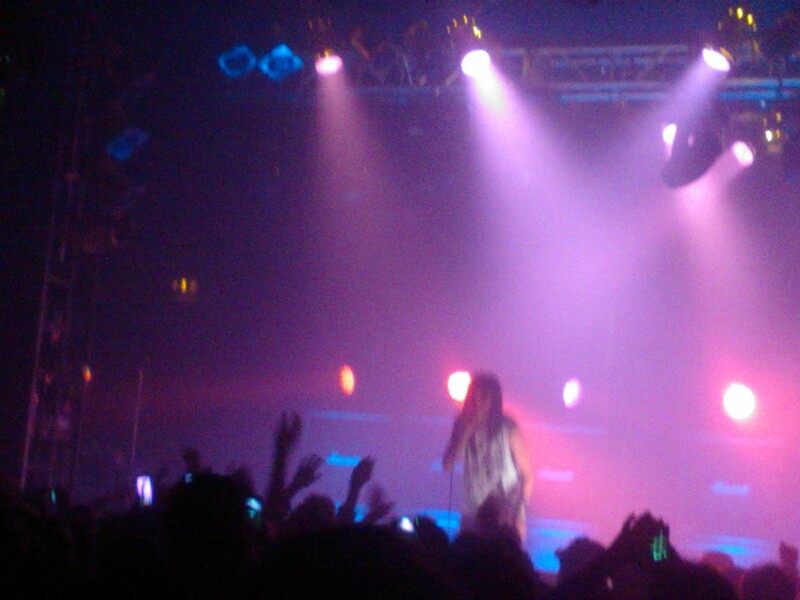 I enjoyed Sleigh Bells first album quite a lot. Playing ‘Infinity Guitars’ to my old housemates on repeat one summers night, I don’t think they were impressed as I was (but hey I controlled the music). I was unaware that Sleigh Bells most recent album had been released so there was quite a few tracks I didn’t recognize, but this didn’t at all alter my enjoyment of this amazing show. I tried to arrive as late a possible without having to actually miss anything and managed to walk in the door just as the warm up artist started. She was the best I had seen (this week anyway). Her name was Charlie XCX and she sounded like a combo of Bjork and Marina and the Diamonds. 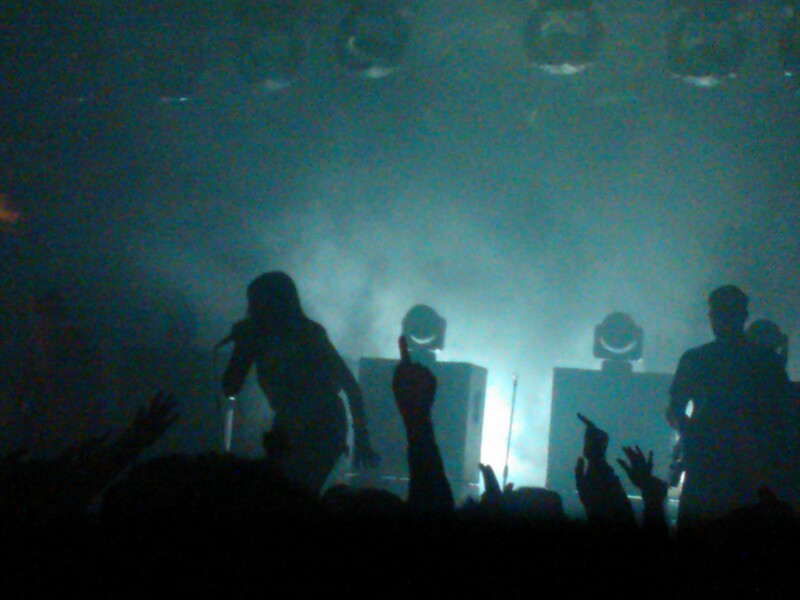 When Sleigh Bells came on The Camden Crowd erupted, a mixture of sweat, leather, studs and unnatural hair colour – all elbowing each other in the face. The lead singer was constantly moving in and out of the crowd, getting sucked into the pit and then screaming for security to pull her out again, returning to the stage to yell ‘What’s up LOOOOONNNDON?? ?’ Then jumping back in tot he pit again, she must have been drunk… but who wasn’t. This entry was posted in Uncategorized and tagged camden, charli xcx, electric ballroom, london, sleigh bells. Bookmark the permalink.